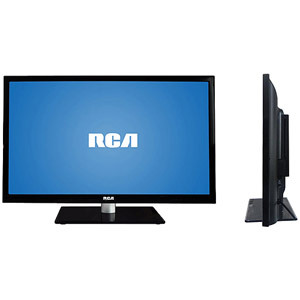 The RCA 3.2" ultra-slim 720p 60HZ LED-LCD HDTV provides an amazing Full HD entertainment experience. It has a built-in DVD player so you can watch all of your movies without the clutter of another device. Four HDMI ports are perfect for a Blu-ray player and other HD components. Note: You must have a source of HD programming in order to take full advantage of the RCA 32" HDTV with Built-In DVD Player. Contact your local cable or satellite TV provider for details on how to upgrade.